If you're looking for a low calorie dinner, check out the recipes below. They're all healthy, low fat, and low calorie but still delicious and filling! Quick Black Bean Burgers- 109 calories per burger, serve on low-cal bun or even California style on lettuce…I even crumble these on top of salad! BBQ Chop Wrap (pg. 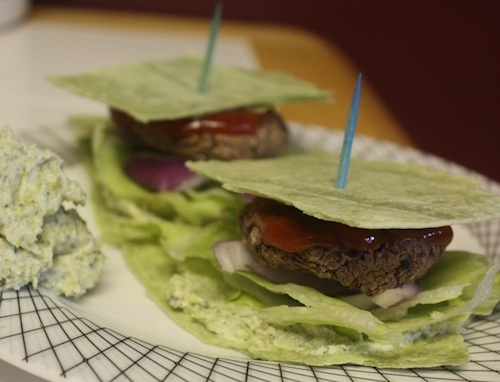 91 in The Happy Herbivore Cookbook)- only 167 calories for a delicious, crisp wrap. Curried Sweet Potato and Wild Rice Soup- Only 94 calories per serving, and perfect for winter! Steak and Pepper Fajitas (p. 103) these are filling and at only 71 calories per fajita, you can have more than one without any “guilt." Rainbow Thai Stir Fry-Only 200 calories for a full serving, you’d never know it with how many veggies you’re getting in this meal! 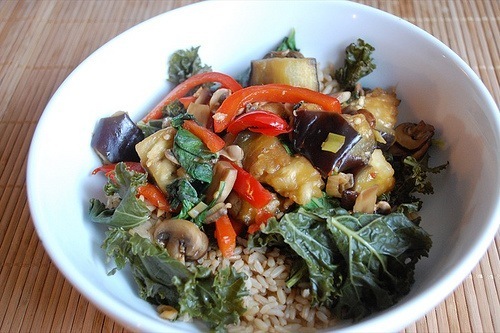 Buddha’s Delight (p. 116)- This dish is healthy, tasty, and a crowd pleaser and it’s only 179 calories per serving.